Just a few hours ago, Google launched their Google App Marketplace with over 50 vendors ready to serve up a host of applications that integrate directly with Google services. A bold move for sure, but one that may have a larger impact on Android than at first glance. Obviously the App Marketplace targets the small to medium sized business model. These are the same businesses that often times will have people wearing multiple hats in the workplace. Your outside sales manager may also be heading up your marketing team. Your IT guy? Perhaps he’s the janitor. These types of people are usually issued company handsets and are kept within the working environment regardless of where they are. For so long, RIM’s Blackberry has dominated this market (and larger business as well), but is Google setting Android up to change that? By introducing the Apps Marketplace, Google has thrown the doors wide open for Android to successfully compete in this arena. 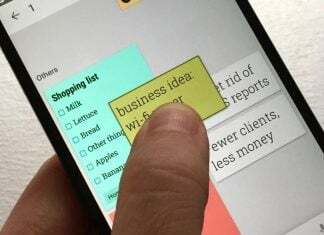 Google Docs has been around for awhile, and while some businesses have successfully made the switch from Microsoft Office, the critical element of a mobile integration has been missing. With the launch of Apps Marketplace, Google has showed that they are serious about being involved within the B2B market. Suddenly, the switch to Android handsets for business seems much more logical than any other mobile OS. A handful of new apps for business that tightly merge Android into the business world and meeting the needs of this new demographic at a reasonable cost may be the kind of combination that has more decision makers taking an interest. In what ways can Android benefit from this? Simple… exposure. I believe that more people don’t have Android devices because they don’t know about them. Apple doesn’t sell (read: market) iPhone OS, they sell the iPhone hardware and experience. RIM doesn’t sell the Blackberry OS, they sell the business integration. What does Android sell? None of it. With five different flavors of Android on the market across dozens of devices, how can it be sold? Again, the answer is simple… Google Apps Marketplace offering integration with a mobile OS for businesses. Next, toss in Chromium OS and Google will have an entire suite of solutions (with literally thousands of partners) to customize a solution for any business.